Featured in the "America's Best Real Estate Agents" National Report and winner of RE/MAX's highest honors, including the RE/MAX Hall of Fame award, Brandi Smith is a Realtor whose secret to her success in the industry is simply her passion for helping her clients fulfill their dreams. Brandi loves her job so much that it never feels like work to her. Born and raised in Abilene TX, Brandi focuses all her attention on residential properties in Abilene and the surrounding counties, a real estate market that she knows extraordinarily well after nearly a decade in real estate. Before becoming a Realtor she was office manager for her dad's company – Texas Refrigeration and Air Conditioning – where for eight years she honed her professional skills, nurturing her drive to provide the best service to every customer and developing her instincts for business and negotiation. Brandi attended Cisco Junior College and studied Real Estate at Kaplan Professional School and Southwest College. She also holds her Graduate Realtor Institute designation (GRI) and she is an Accredited Buyer Representative (ABR). 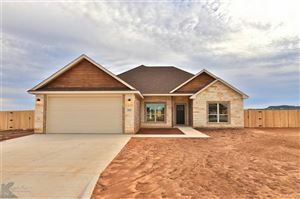 She is also a member of the National Association of Realtors, the Texas Association of Realtors and the Abilene Association of Realtors. As a Realtor, Brandi loves the endless opportunities that the industry brings. A proud supporter of Children's Miracle Network, she is honored to donate to the charity on behalf of her clients every time she lists and closes on a property. Brandi herself has two beautiful children – ages 10 and 6 – her pride and joy! Brandi's dedication to the industry and to her clients has fueled her success. Based on her commissions, RE/MAX has honored her with awards given only to a select group of high-producing associates. In her very first year at RE/MAX, she earned membership in their Executive Club; in the next 4 years, membership in the 100% Club; in the last 3 years, the Platinum Club Award, and the 2016 Hall of Fame Award. Brandi also invests in real estate properties in poor condition and then dramatically improves them for re-sale. Making numerous interior design decisions and using her knowledge of the market and what buyers are looking for, she creates beautiful homes for families that further enrich the neighborhoods. She loves real estate, and she loves interacting not only with clients but also with other professionals in the industry. That's also why she recently created a team – The Brandi Smith Team. Not only does her team allow her to offer her clients more comprehensive service and expertise, but it also gives her a way to help others succeed in the realty business. Her team members are Chloe Dillard, Amy Wolf, Kandi Wood, Sammy Guerrero and Kendra Moyer. Chloe, Amy, Kandi and Sammy are experienced licensed Texas Realtors, and they both know the area and its market well. They also bring a variety of specialized skills to the real estate transaction. Kendra, the Transaction Coordinator, helps ensure that each transaction goes picture perfect. The Brandi Smith Team looks forward to helping you with buying or selling your next home!!! RE/MAX OF ABILENE COLLECTING TOYS FOR CMN!!! Updated Apr 21, 2019 11:37:am. Based on information from the North Texas Real Estate Information Systems, Inc. This information is provided for consumers' personal, non-commercial use and may not be used for any purpose other than to identify prospective properties consumers may be interested in purchasing.